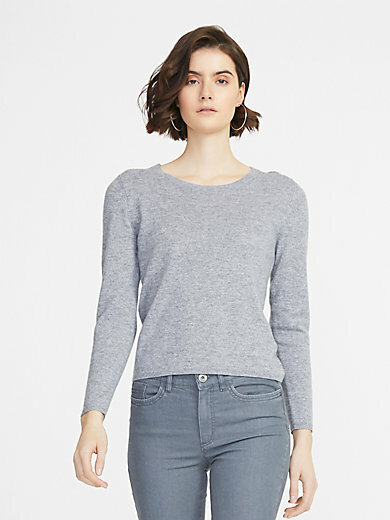 Round neck jumper by PETER HAHN CASHMERE with long sleeves and ribbed edges. Slightly tapered style. 100% cashmere. Length approx. 23ins. The round neck jumper should be washed by hand.